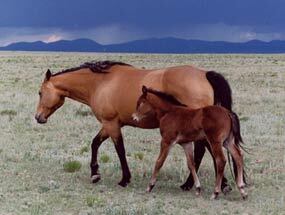 Horses are an integral part of life on the CS. 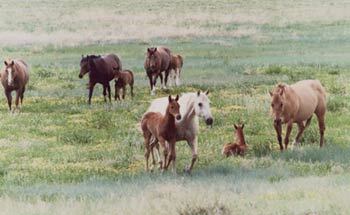 The ranch has raised its own horses since the 1880s. The early CS breeding program was influenced by a French-bred thoroughbred stallion named Uhlan and two English-bred stallions, Ute Chief and Uhlan II. 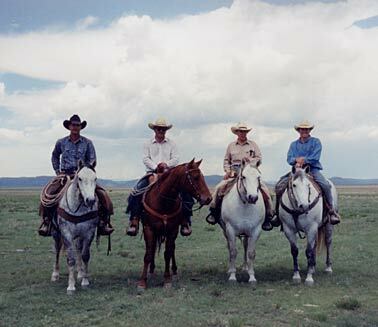 These three stallions and 12 English-bred fillies formed the nucleus of the ranch's broodmare band. 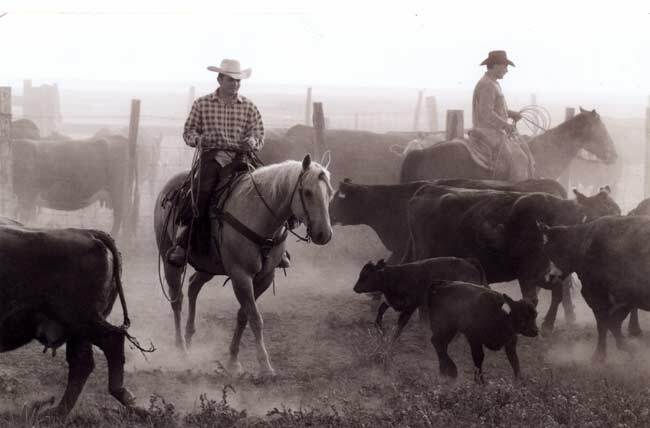 In 1912, Hank Springer purchased the stallion "Little Joe" from Billie Anson of Cristoval, TX. Harmon Baker, a son of Peter McCue, sired Little Joe. 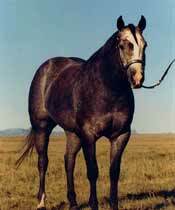 This beautiful sorrel stallion had a profound pre-registry influence on the Quarter Horse breed and the CS remuda. Well- known breeders such as Dan Casement, Waite Phillips, Hal Cooper, Landon K. Moore, Albert Mitchell and Hank Wiescamp had foundation stallions and mares that traced back to the Little Joe gene pool. 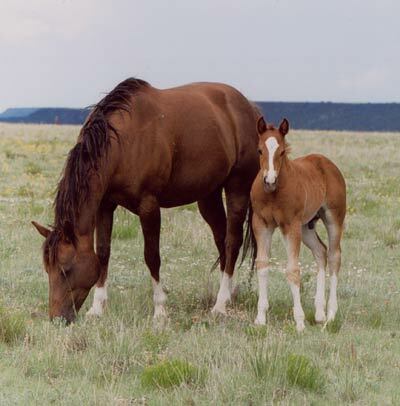 The CS participated in the US Army Remount Services breeding program from the 1920's until it was discontinued during WWII. The ranch was allotted a number of excellent thoroughbred stallions to breed to their mares, with the objective of producing top mounts for the cavalry. Chimney Sweep, Donnay and Energy were the most influential of the remounts used by the CS. Chimney Sweep sired Brushmount (AQHA # 0015000) who became a great foundation sire of both the American Quarter Horse and Palomino Associations. During the grim years of the depression, Ed Springer realized that the market for good horses was stronger than the market for beef. He added to the broodmare band and the CS supplied horses to the US Army. At one point, there were 200 producing mares in the CS operation. Horses were also sold as polo prospects and hunter-jumpers on both the East and West Coasts. 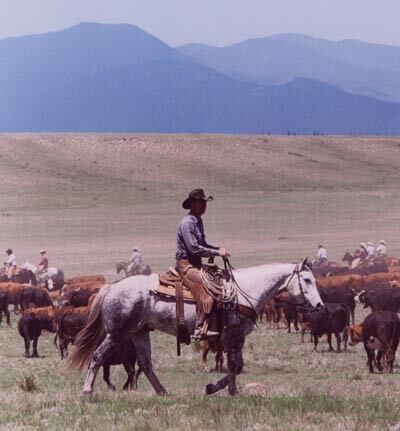 Ed Springer was a longtime friend of Albert Mitchell of the Tequesquite Ranch at Albert, NM, who was one of the driving forces behind the establishment of the AQHA . Both men shared a passion for good horses. In 1948, 60 CS mares were inspected and 43 were accepted into the original AQHA Registry. Now, all foals branded with a CS are registered. In 2007, CS was recognized by the AQHA with a Legacy Award for registering Quarter Horses for over fifty years.